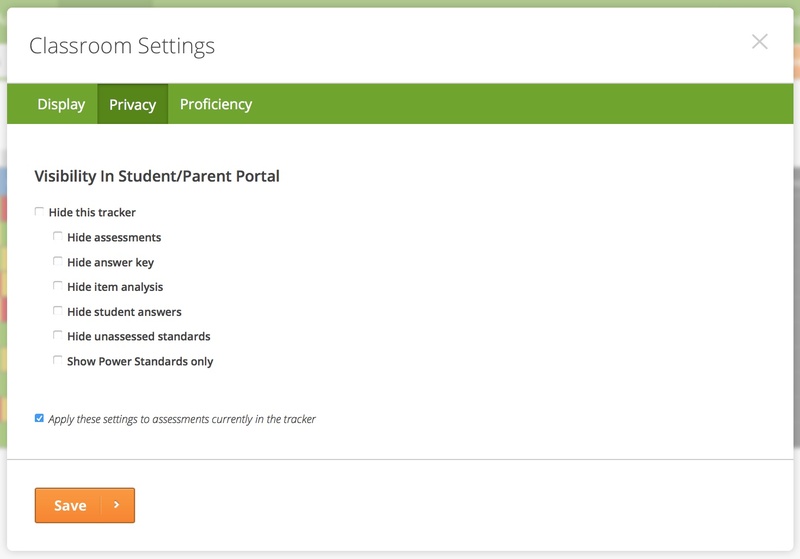 The Student Mastery Report gives parents and students a quick overview of mastery, as well as details on assessments that the student has taken. There are times that you may want to hide some of these details. This article will explain how to do that, in addition to showing you how each of these details appears in the student and parent reports. First, you'll have to open the Classroom Settings menu. To do this, hover over the orange menu button, and select Privacy Settings. This part of the report allows students and parents to view the source material. 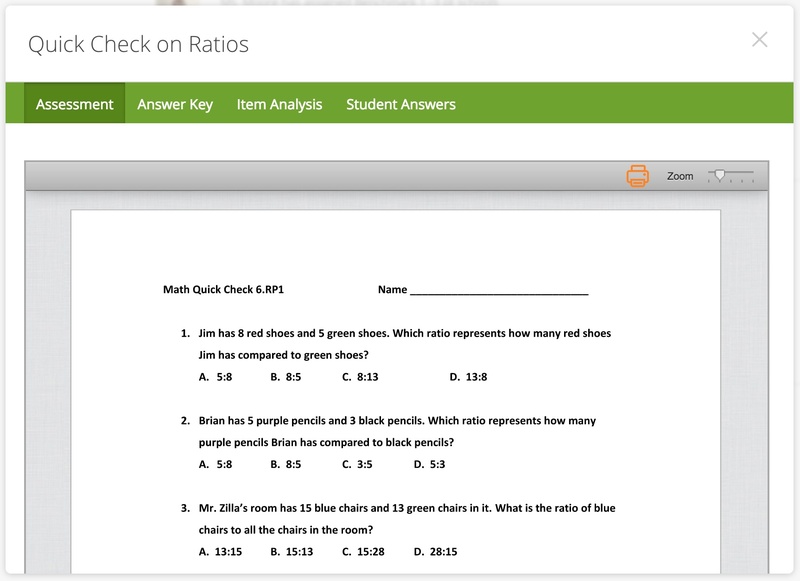 The portion shows the correct answers for each question on the assessment. 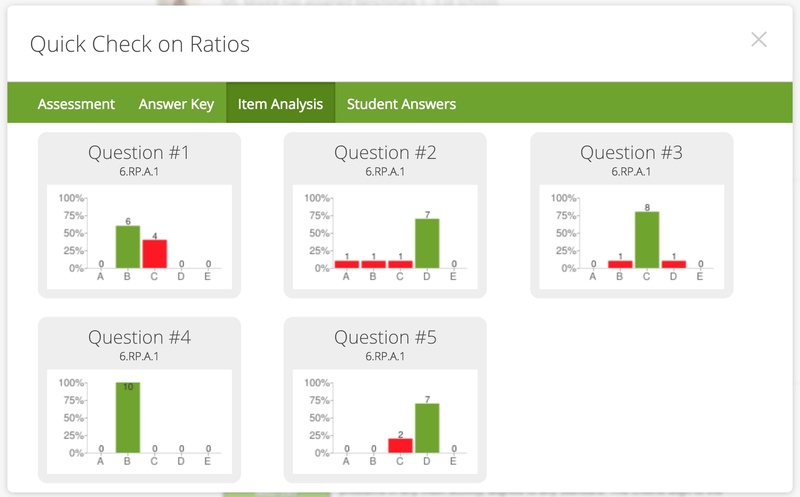 The item analysis allows students and parents to see how other students in class answered each question. The Student Answers portion of the report shows how the student answered the questions on the assessment. Correct answers are shown in green and incorrect answers in red.